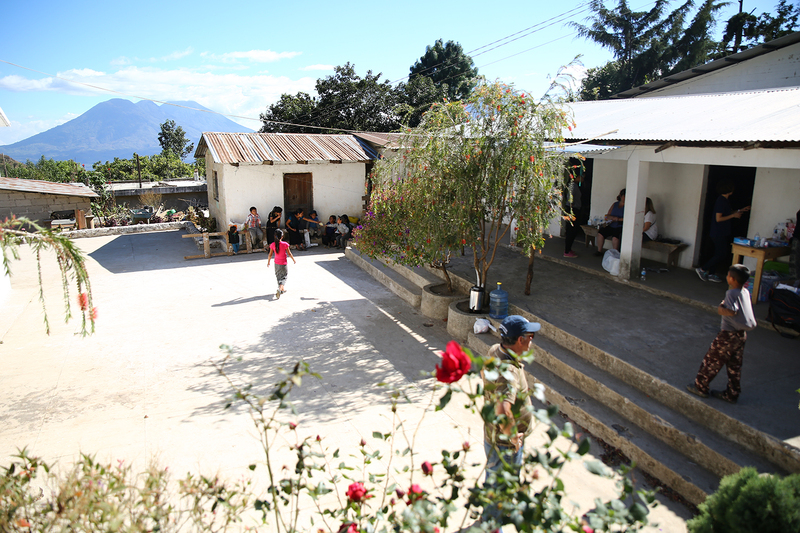 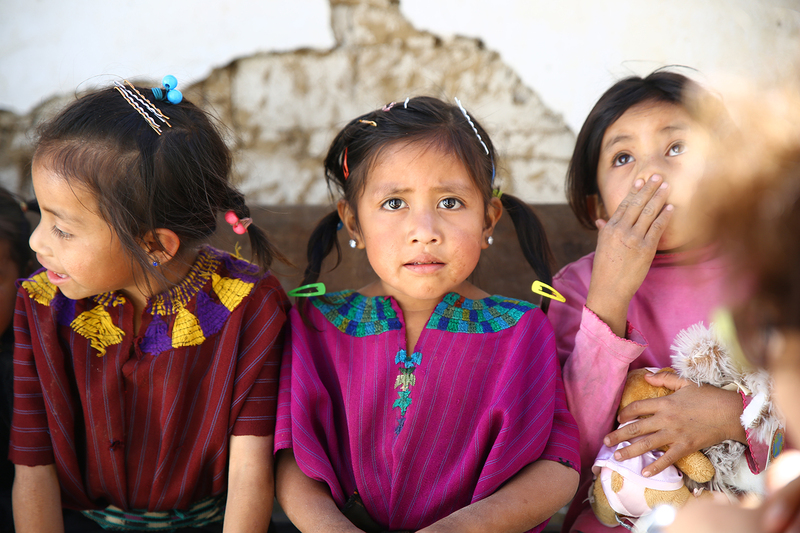 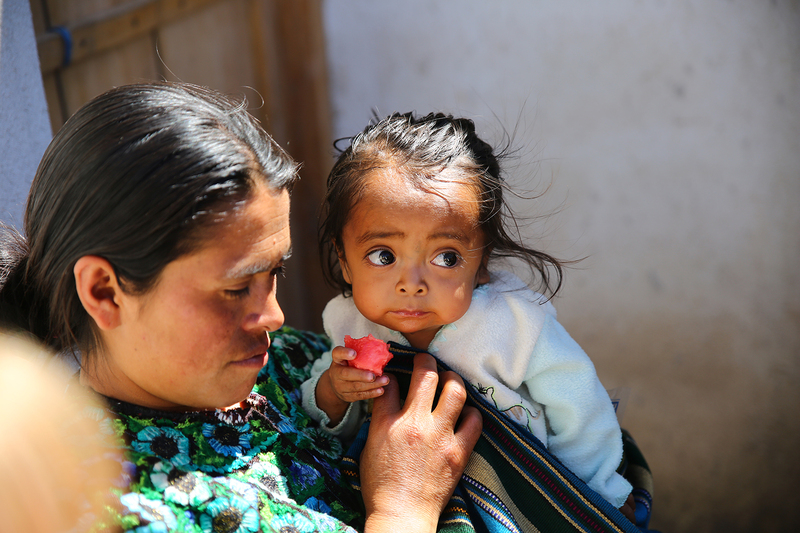 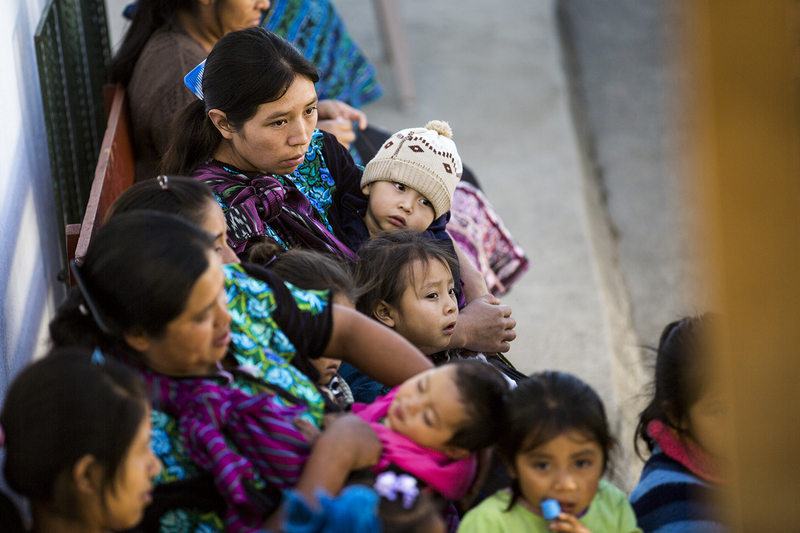 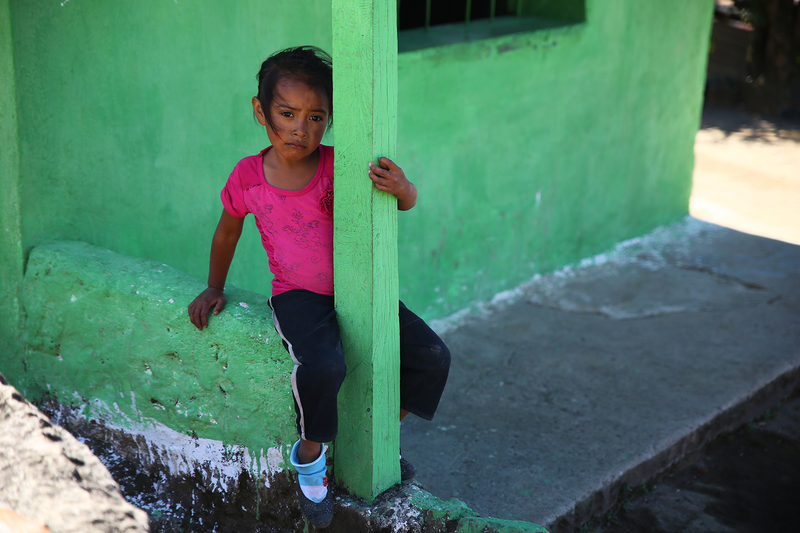 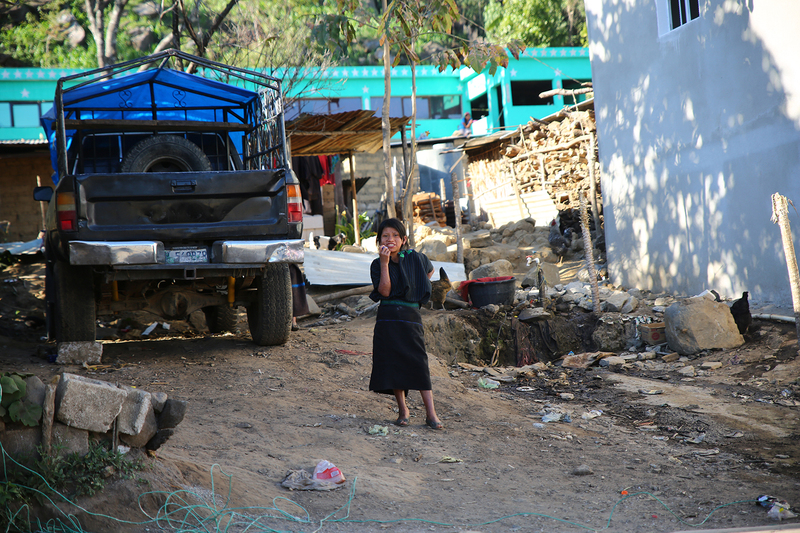 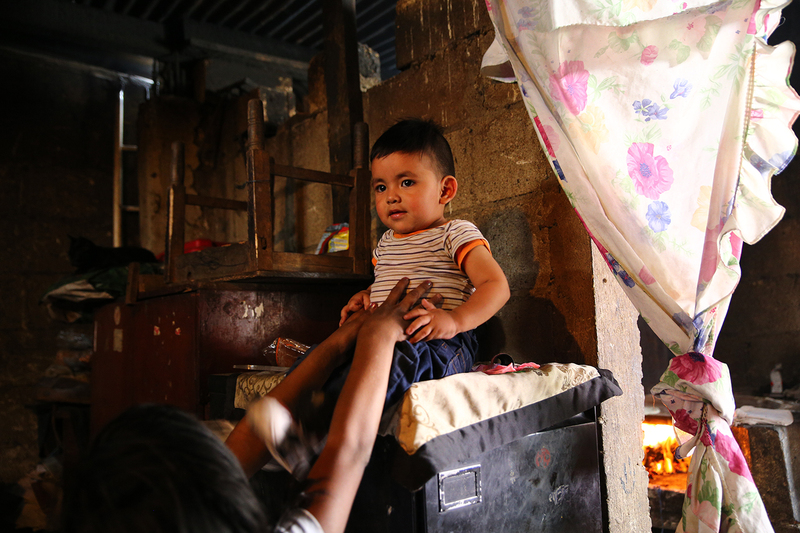 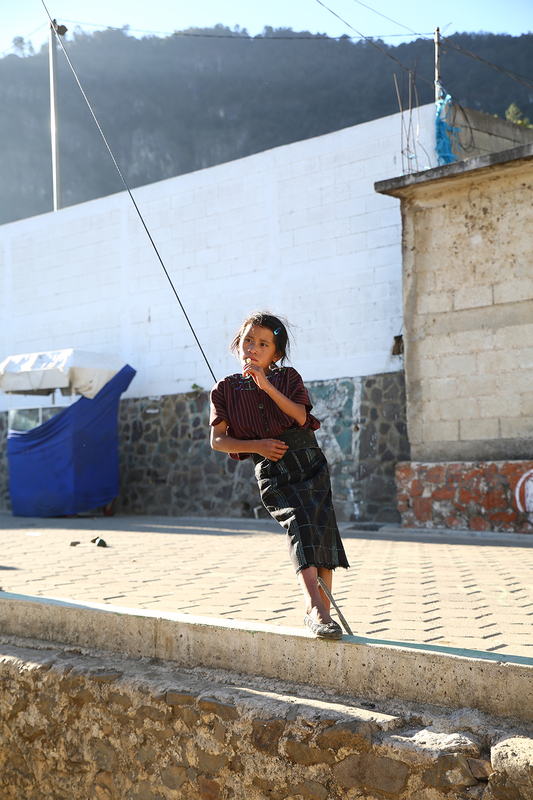 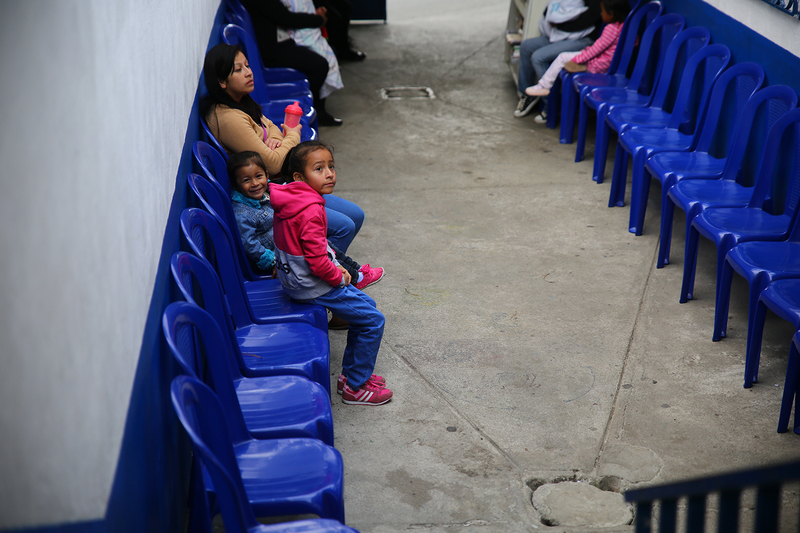 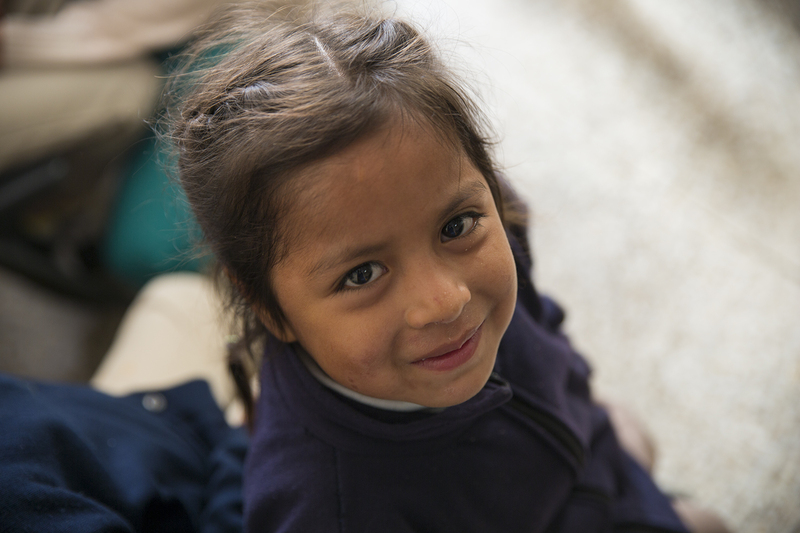 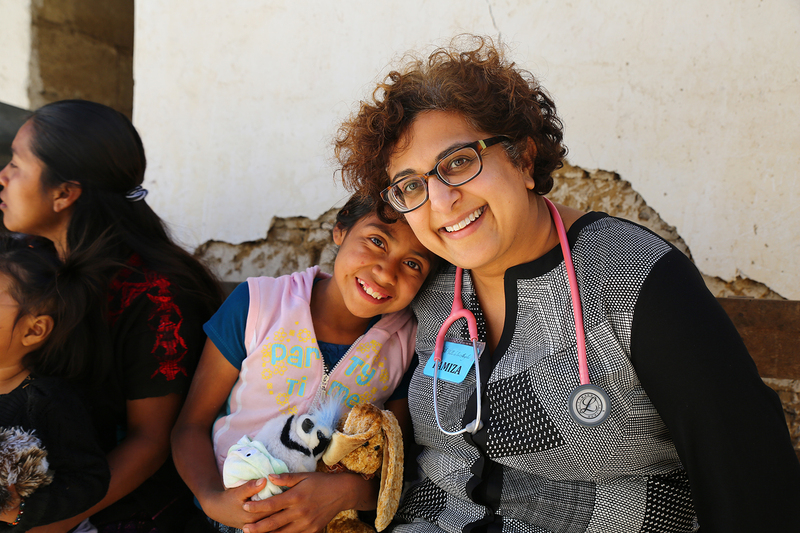 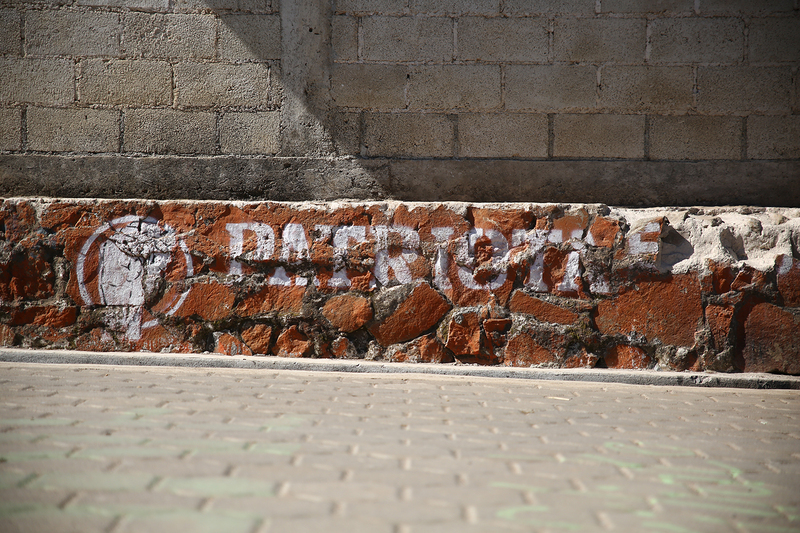 The door to the makeshift clinic had just opened as a young Guatemalan woman appeared. 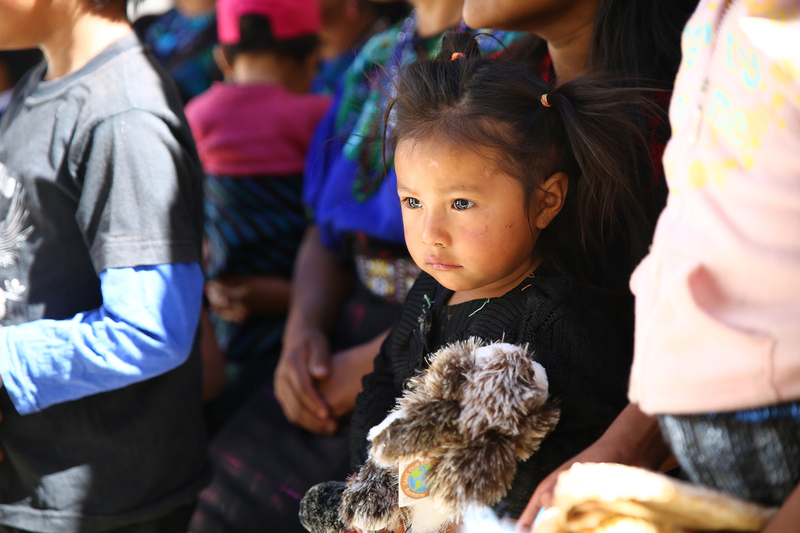 In her arms was a small child taking strained breaths. 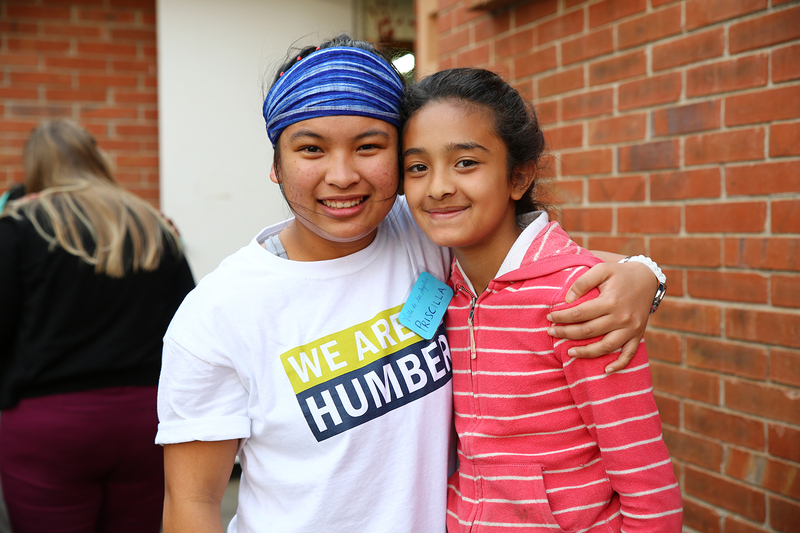 She peeked up at the Humber students with wide, curious eyes. 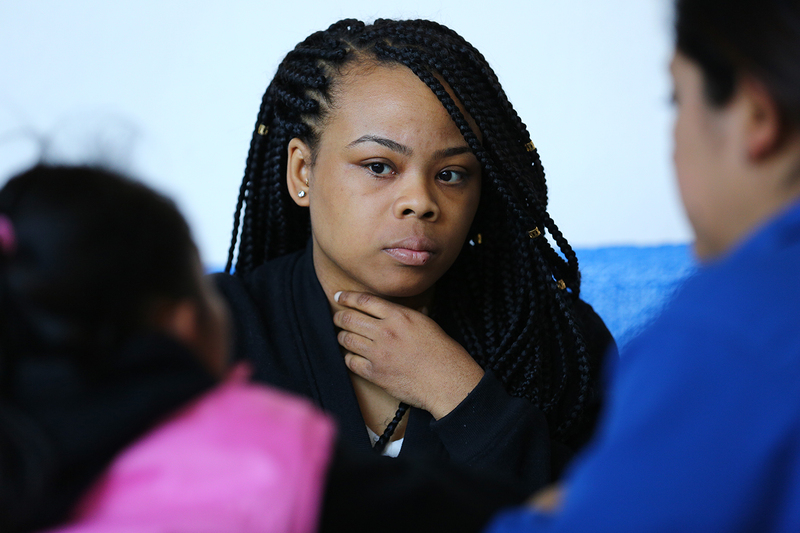 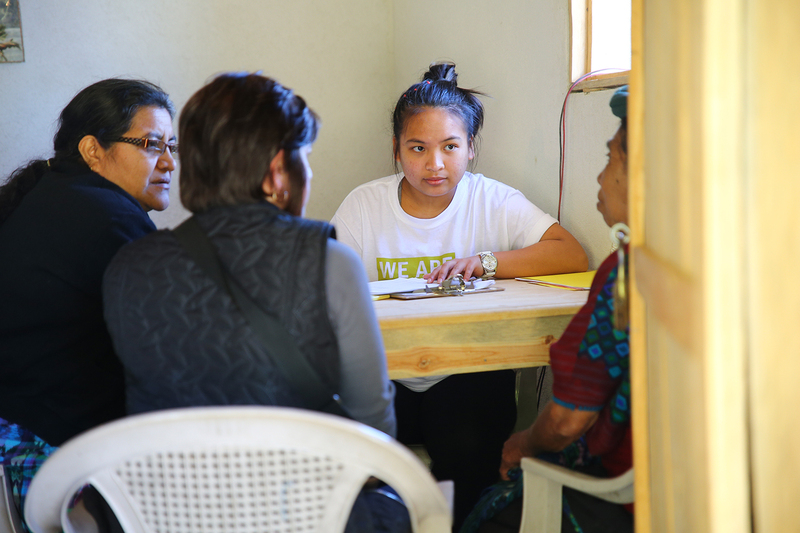 After the young girl was assessed, a quiet conversation between the pediatrician, several students, and the trip director drew the attention of everyone in the room. 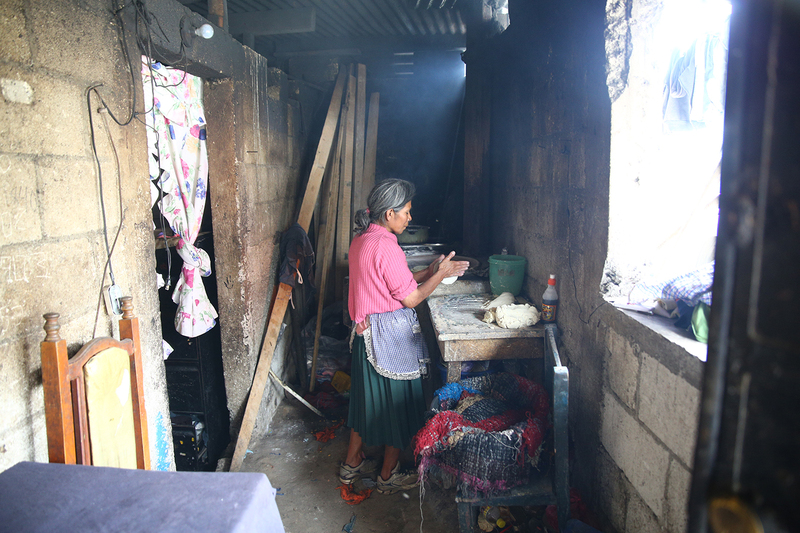 Without immediate emergency attention, she wasn’t going to survive. 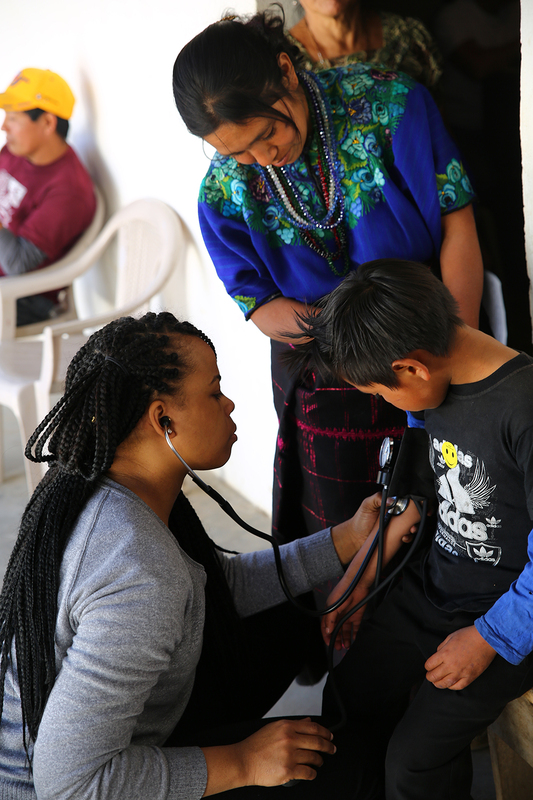 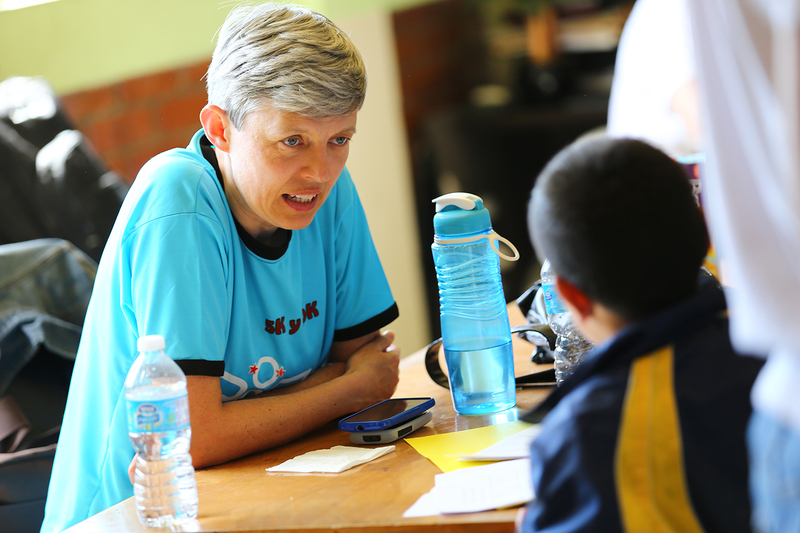 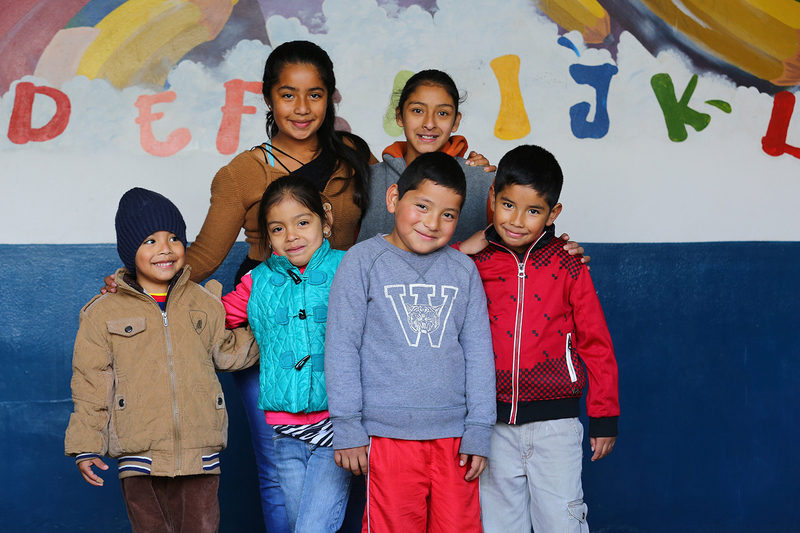 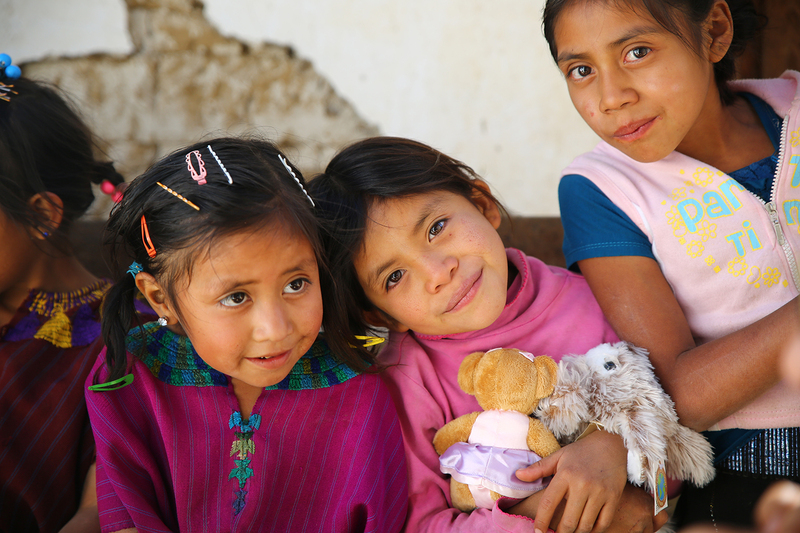 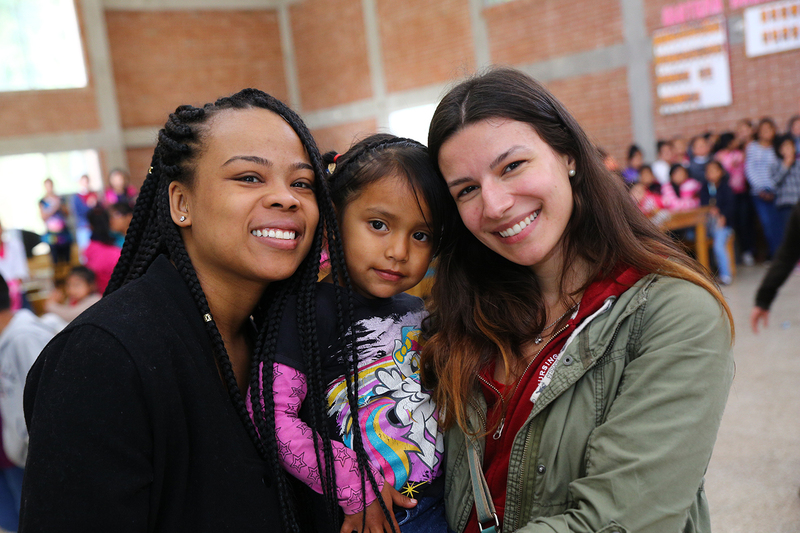 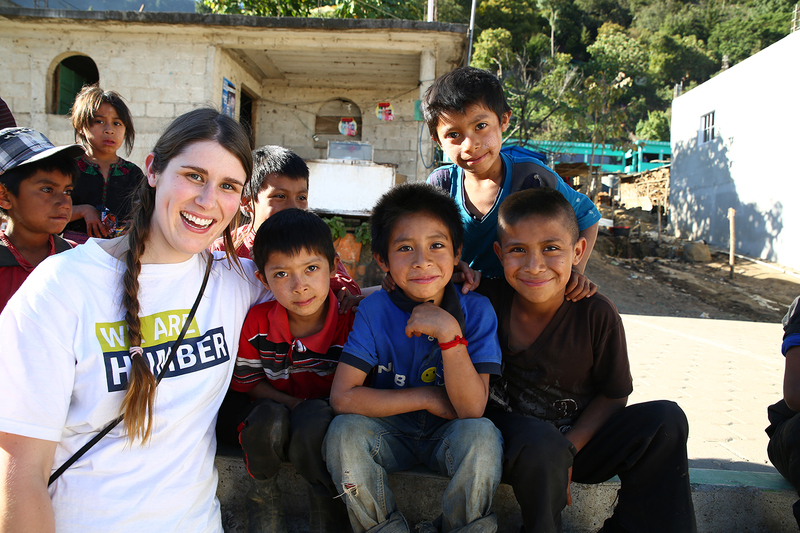 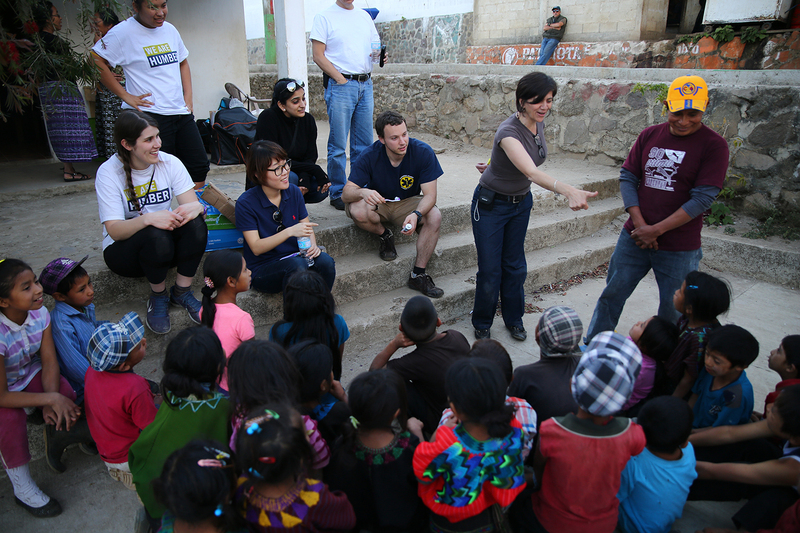 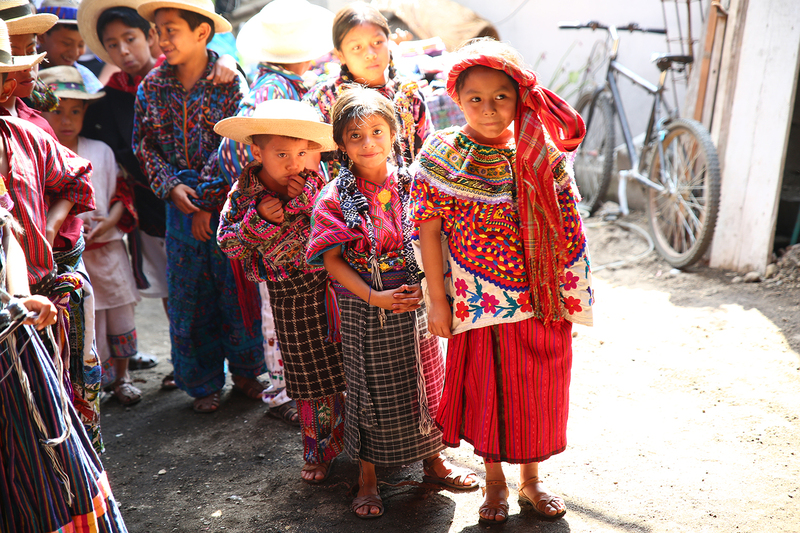 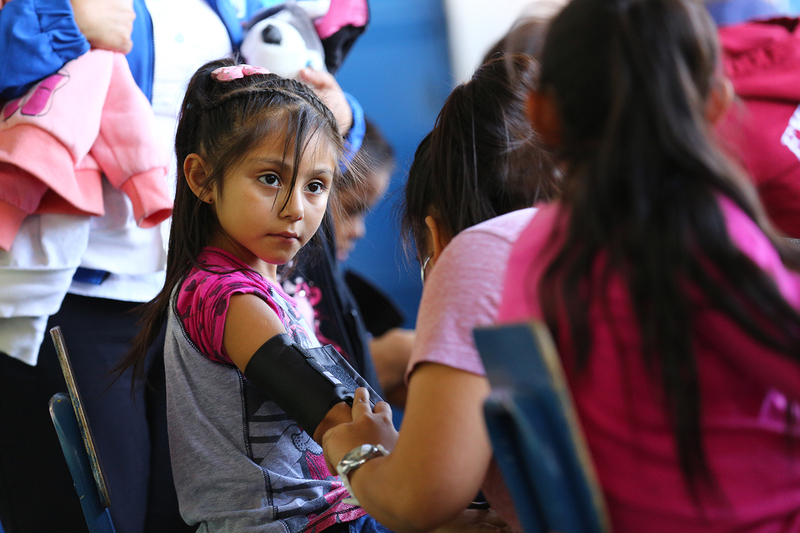 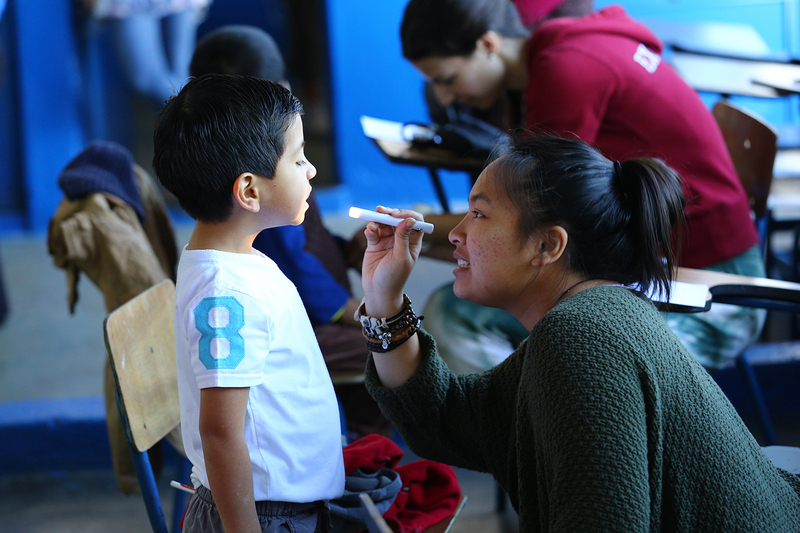 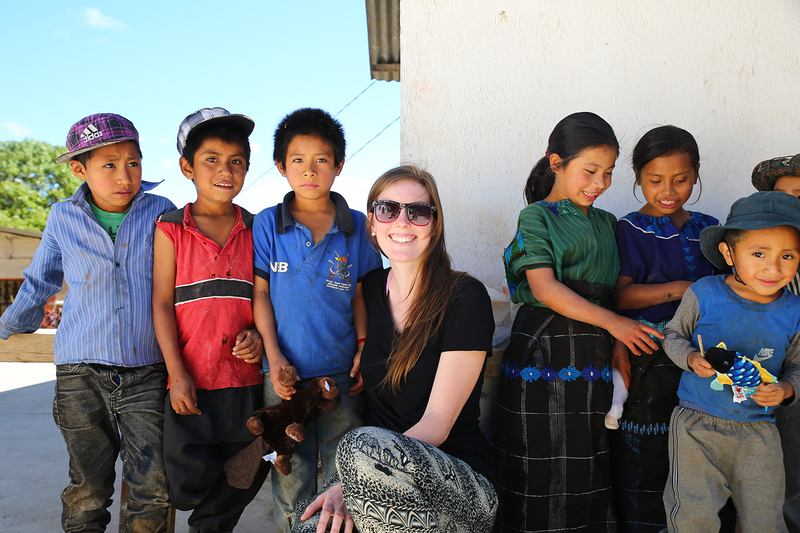 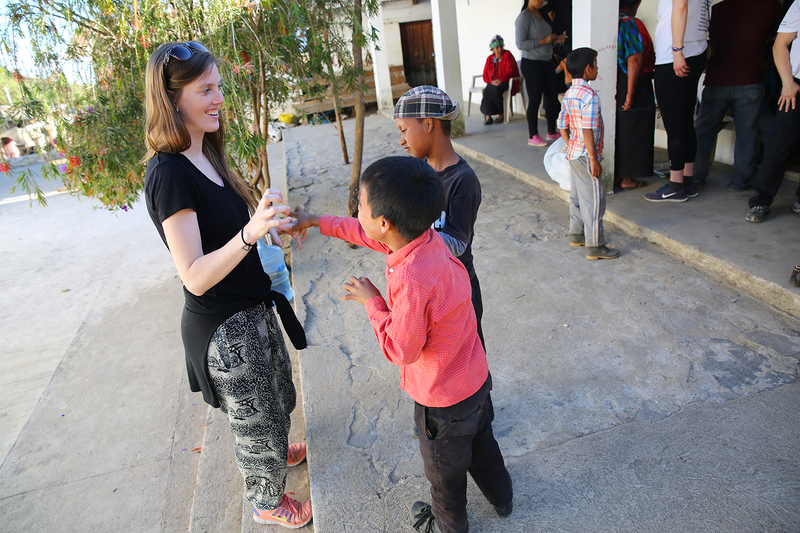 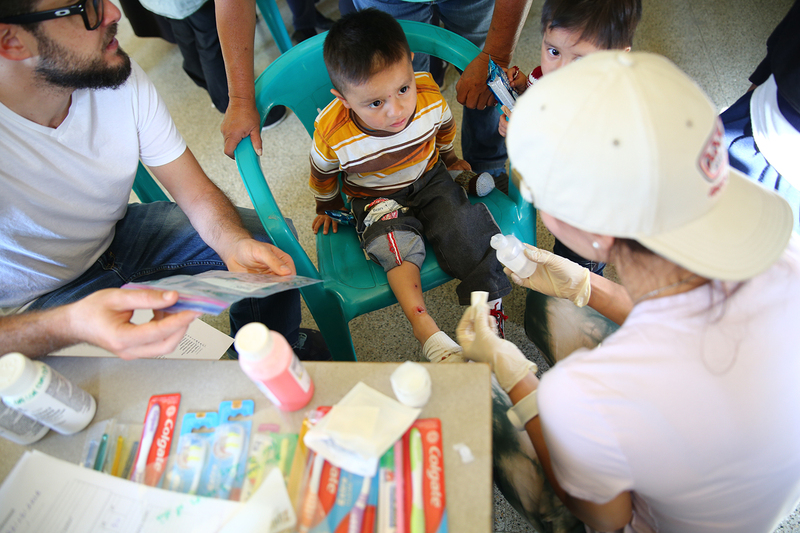 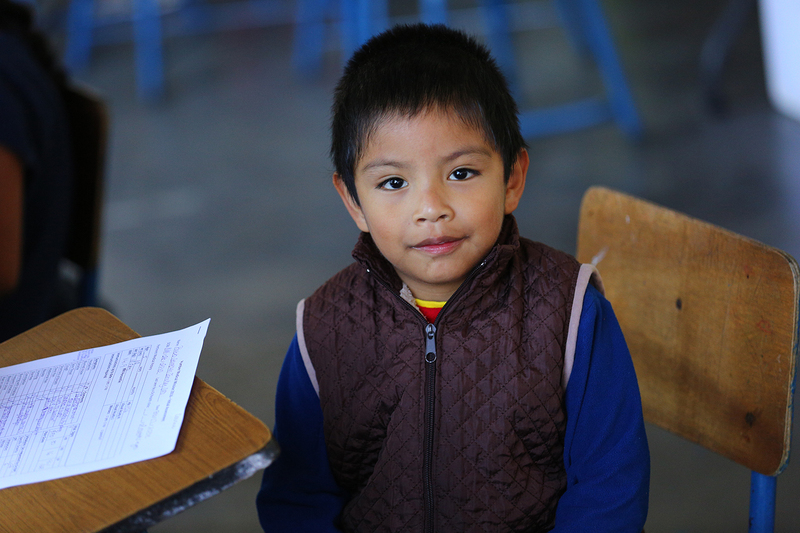 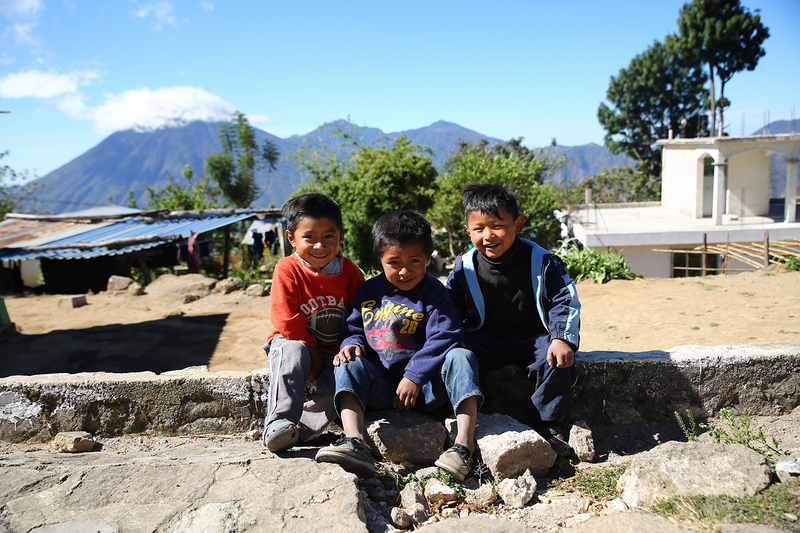 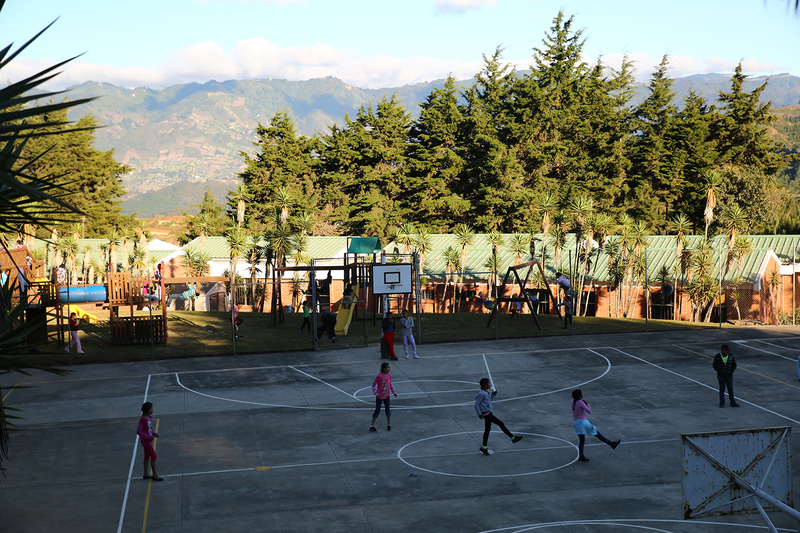 Over 10 days, students in Humber’s School of Health Sciences conducted health assessments and provided care to almost 300 children living in under-resourced communities in Guatemala. 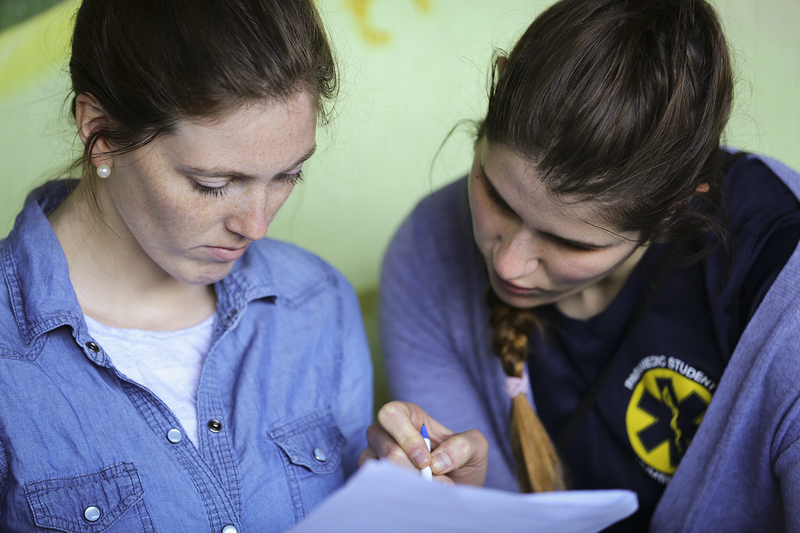 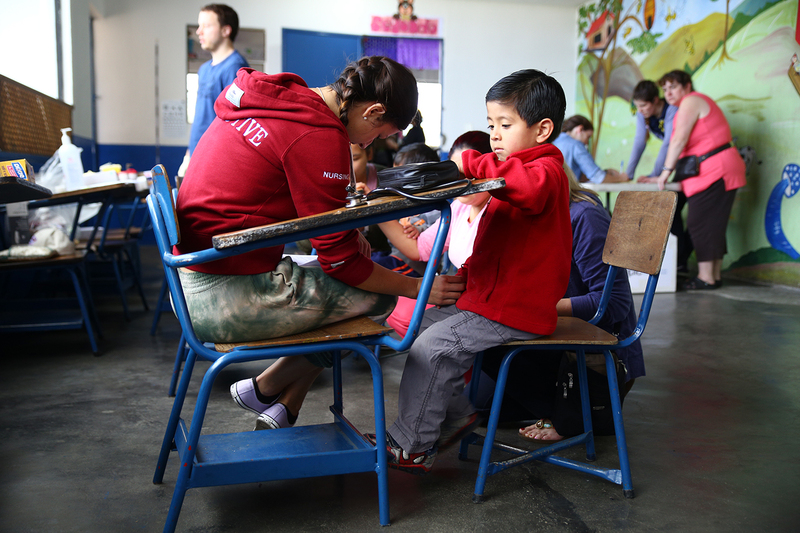 Bachelor of Nursing student, Ioana Golubovici, assesses a young girl at the Valle de Los Angeles orphanage. 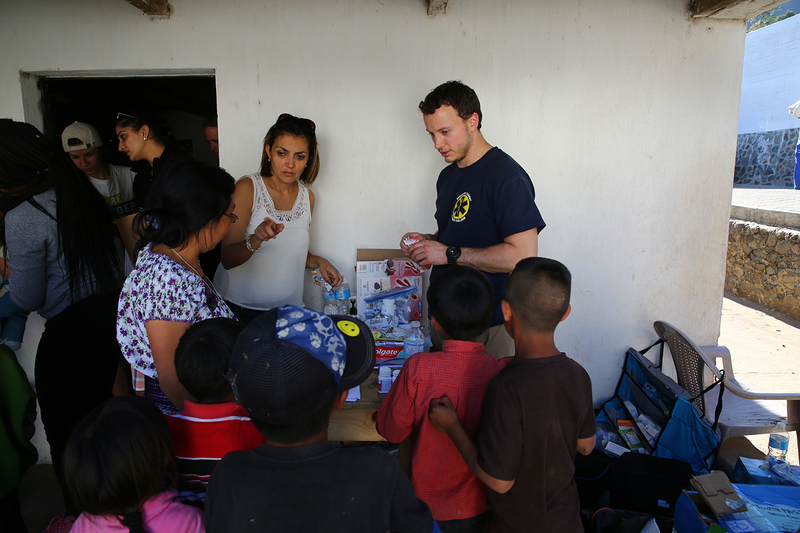 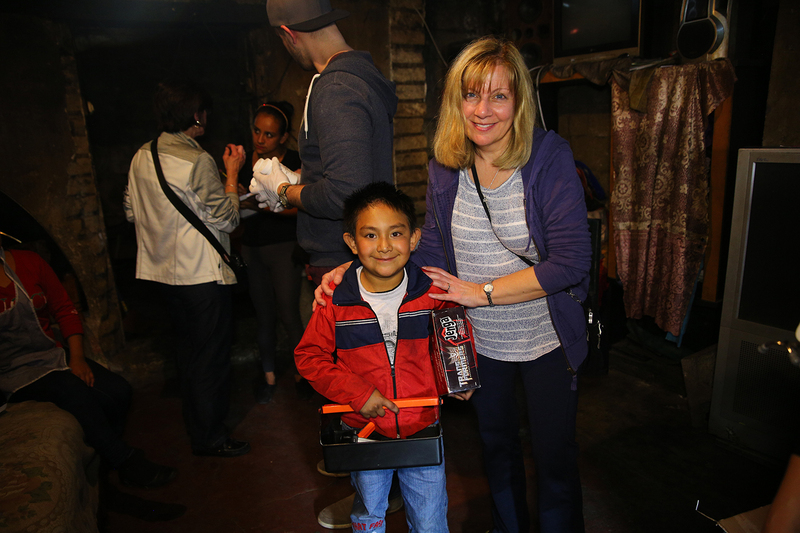 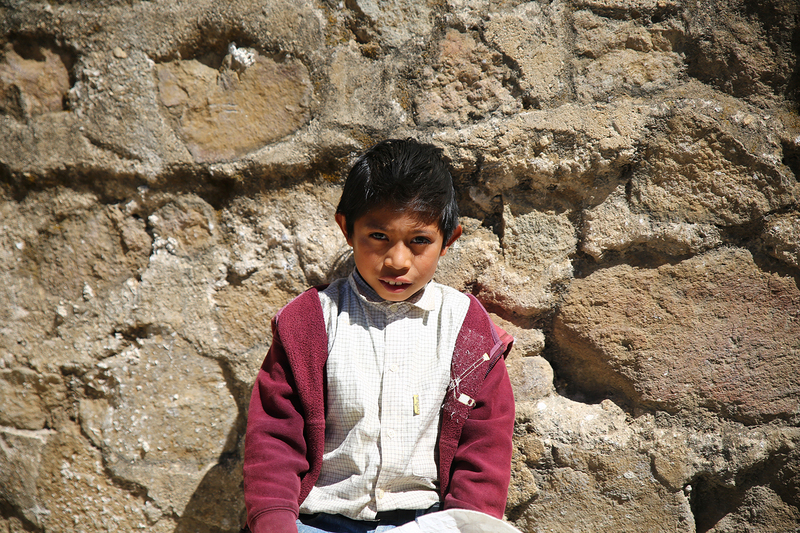 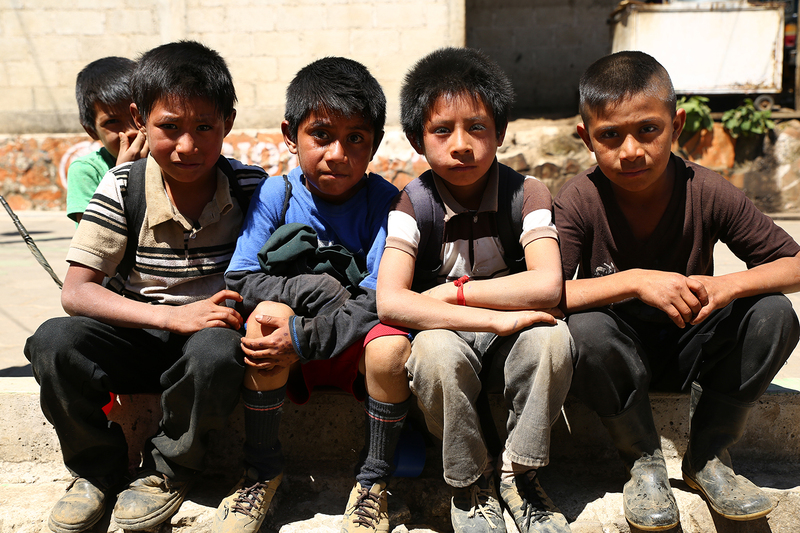 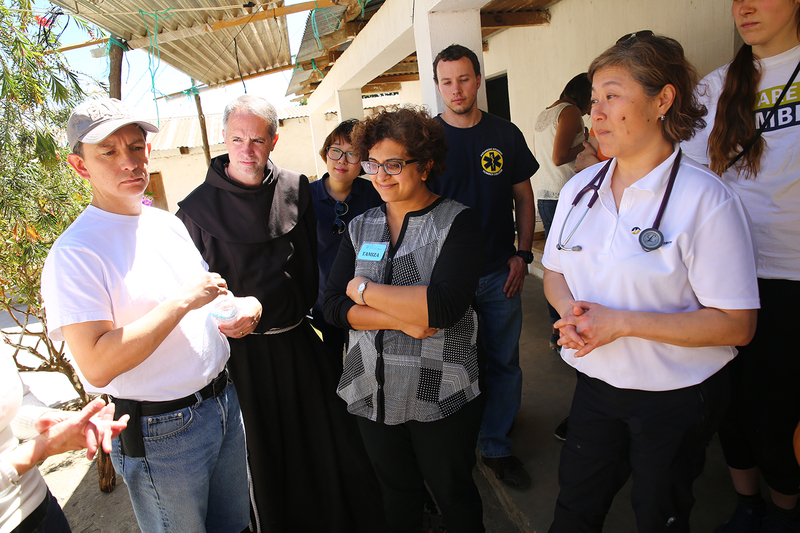 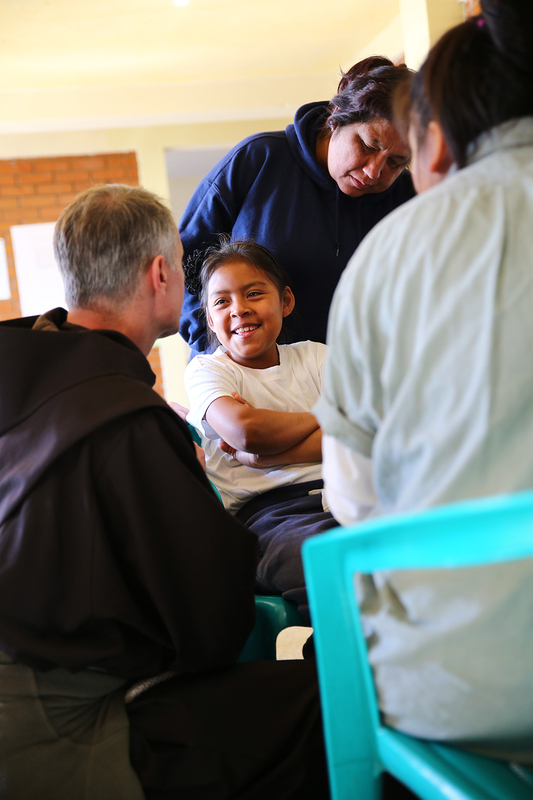 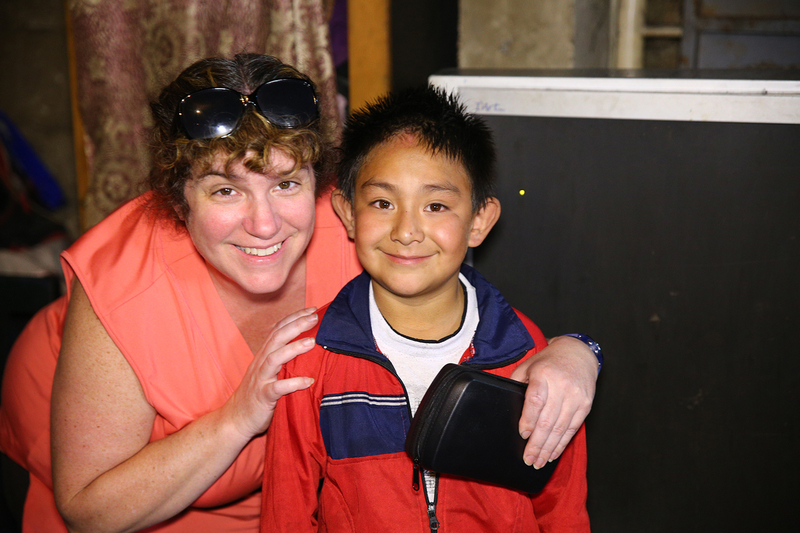 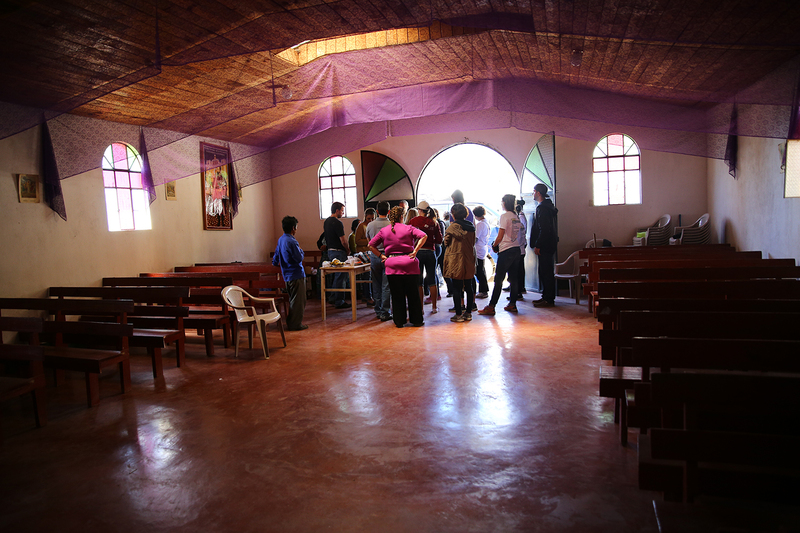 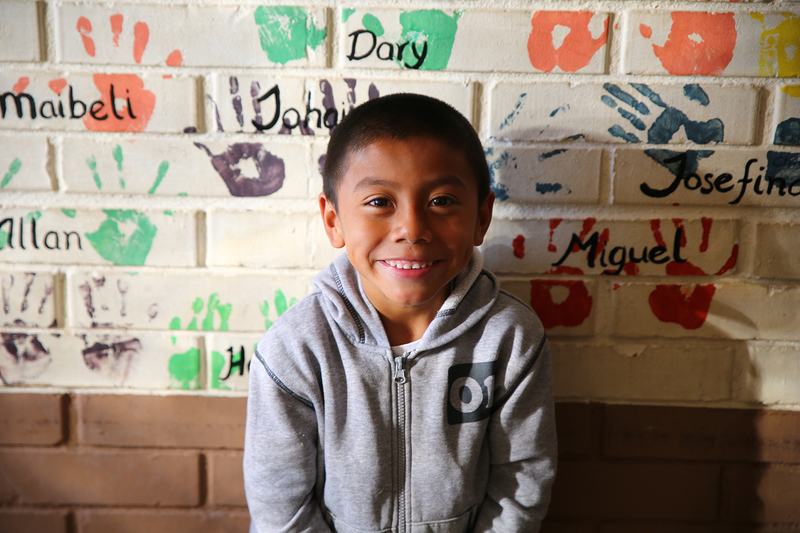 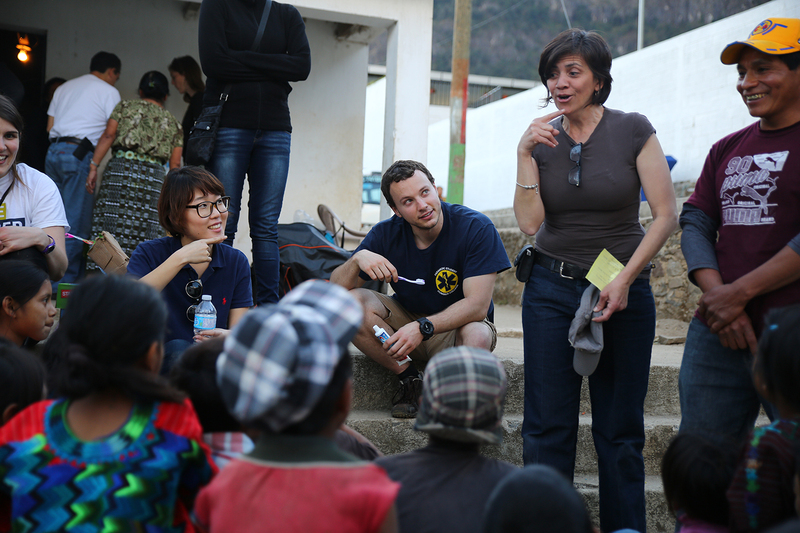 Della Penna, the director of the Valle de Los Angeles orphanage, described the reality for children living in his care. 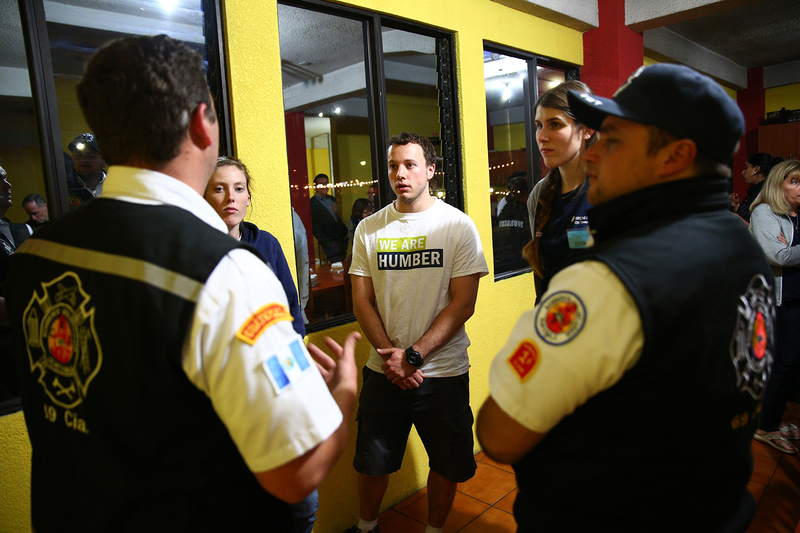 While medical assessments and health education were the focus of the trip, it was only part of what the Humber students experienced. 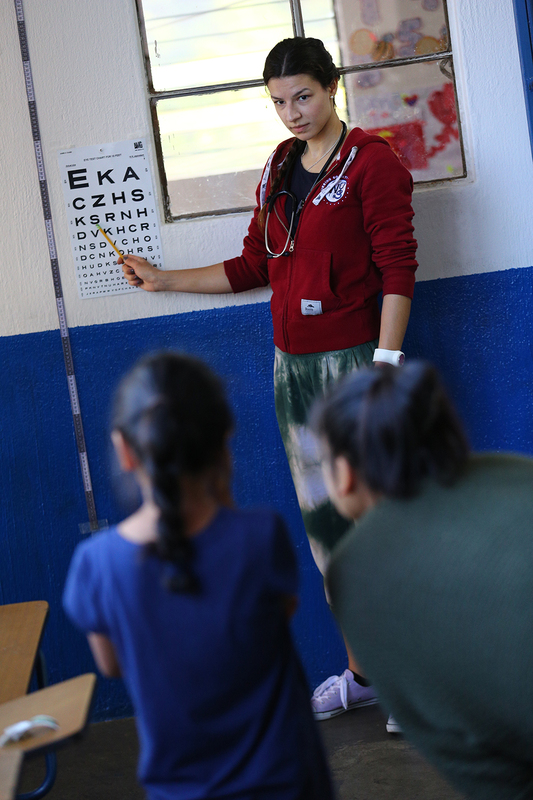 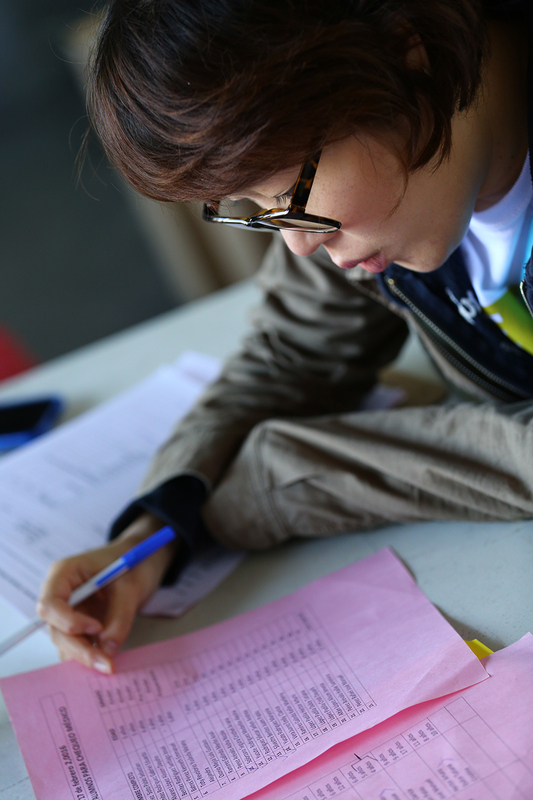 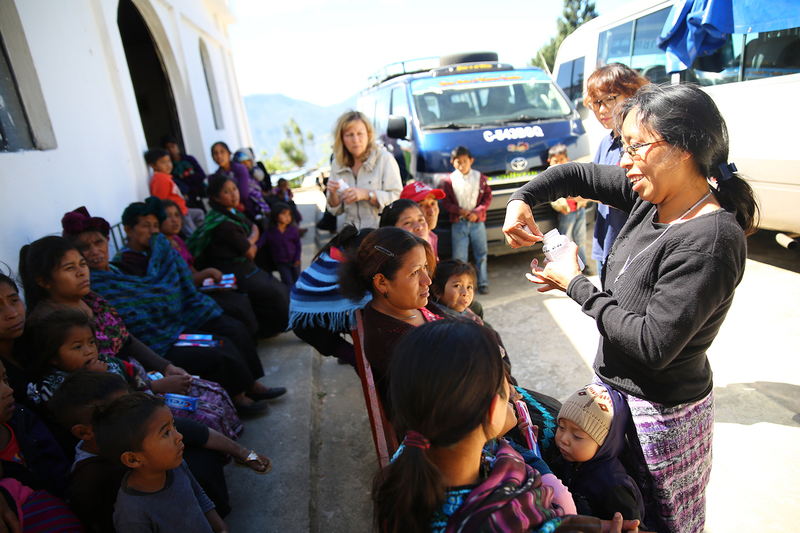 Nursing and paramedic students, along with a local translator, provide health education to children in a rural community. 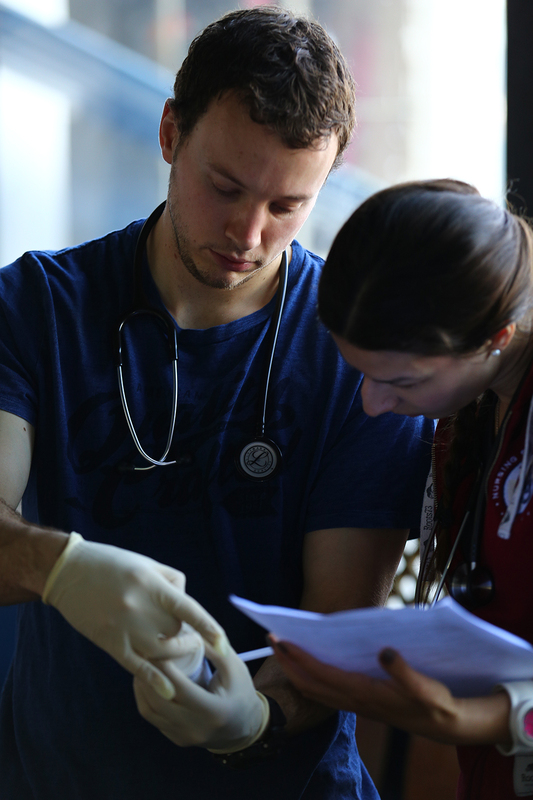 For the second year in a row, Burg-Feret selected a team of students from various health sciences programs at the college. 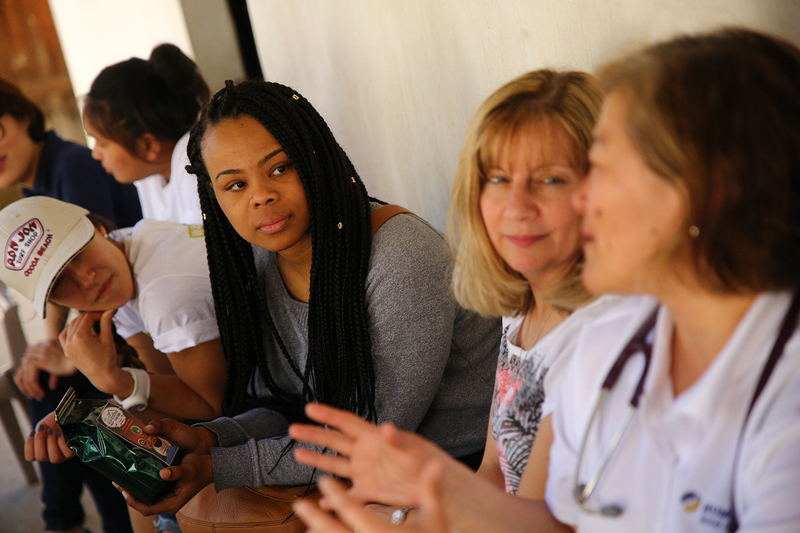 This year, the group consisted of University of New Brunswick/Humber Bachelor of Nursing, Practical Nursing and Paramedic students. 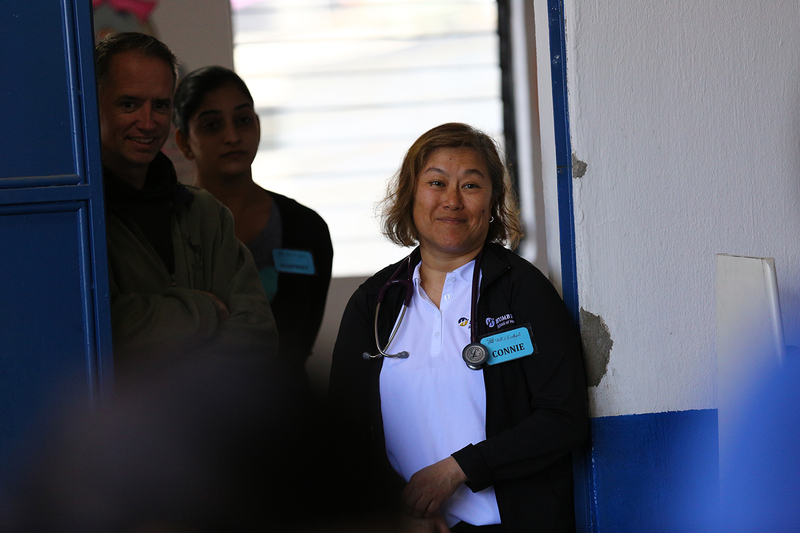 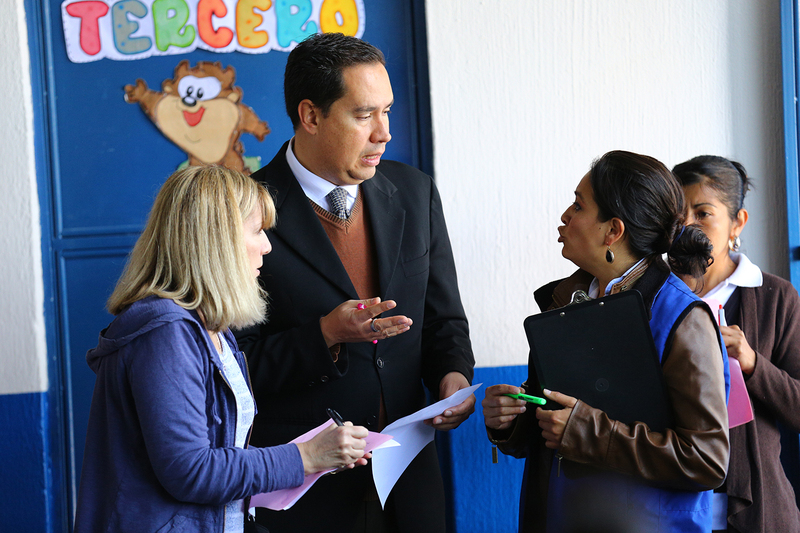 They were also accompanied by a pediatrician, a nurse practitioner and several local translators. 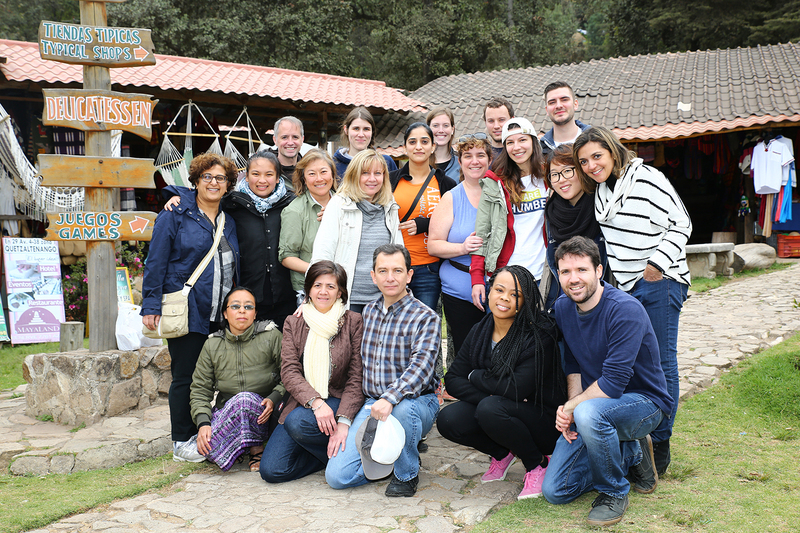 The trip was enhanced through Burg-Feret’s inclusion of a component that examined the concept of cultural humility, an idea she believes is perfectly suited for a student immersion experience. 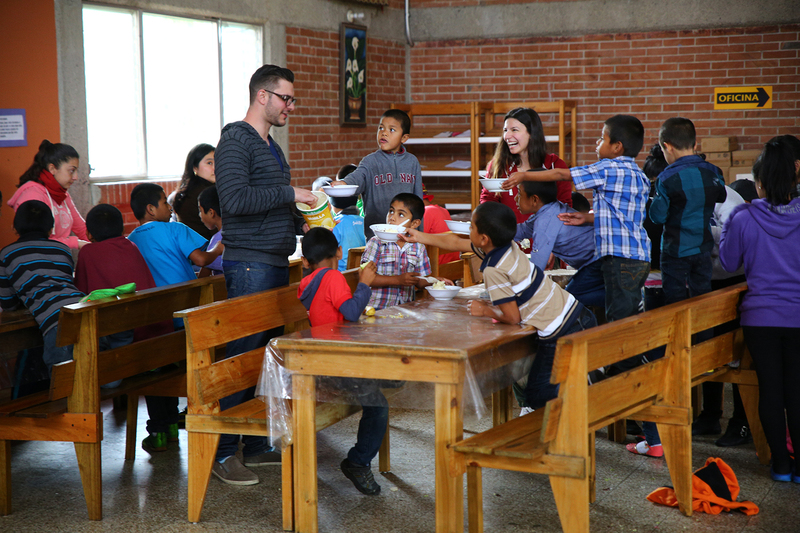 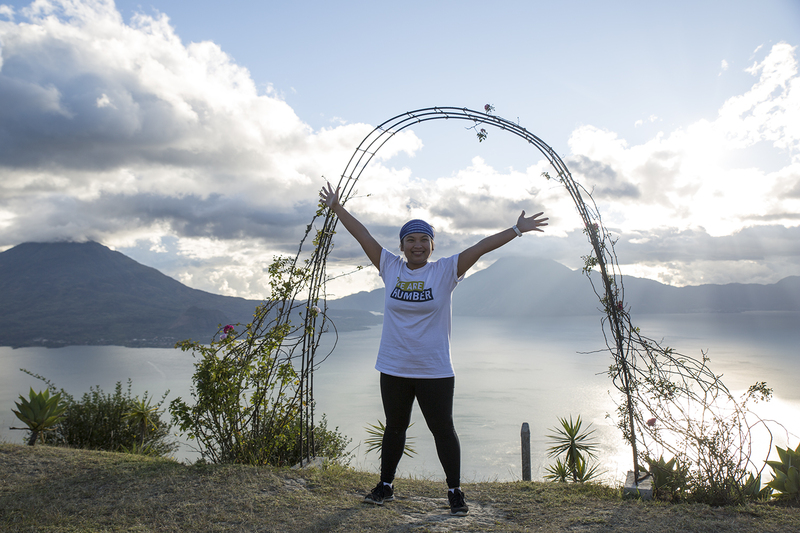 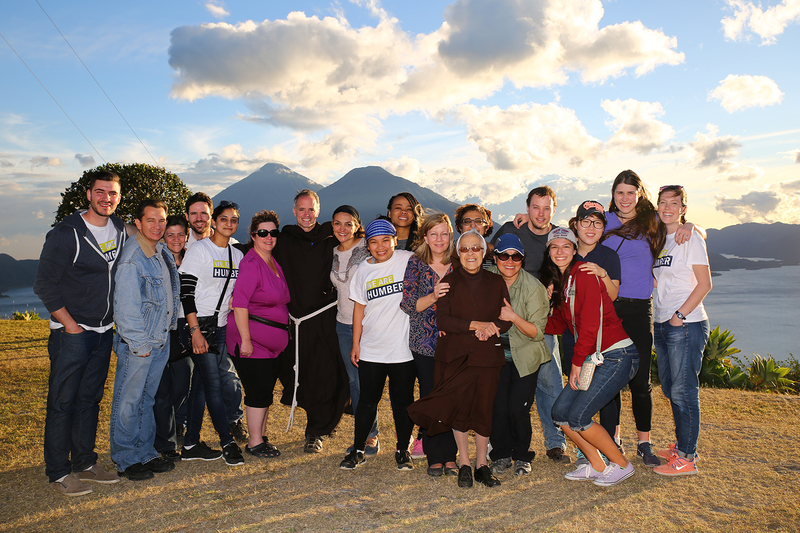 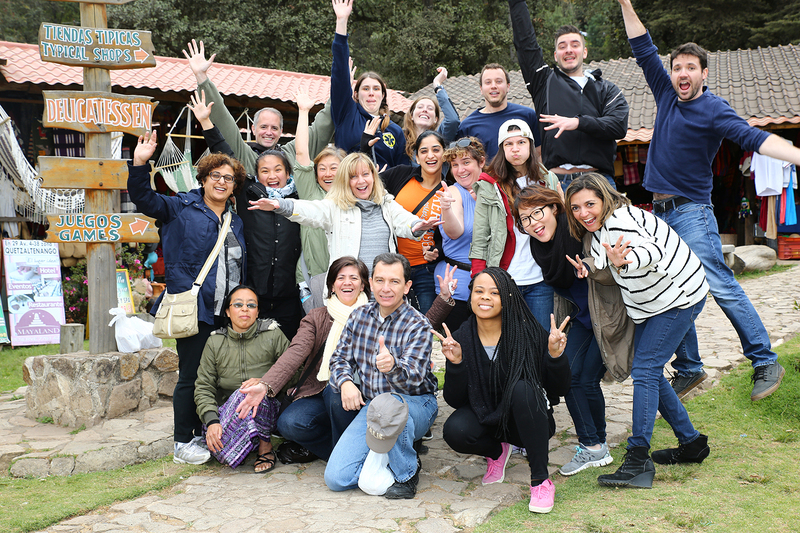 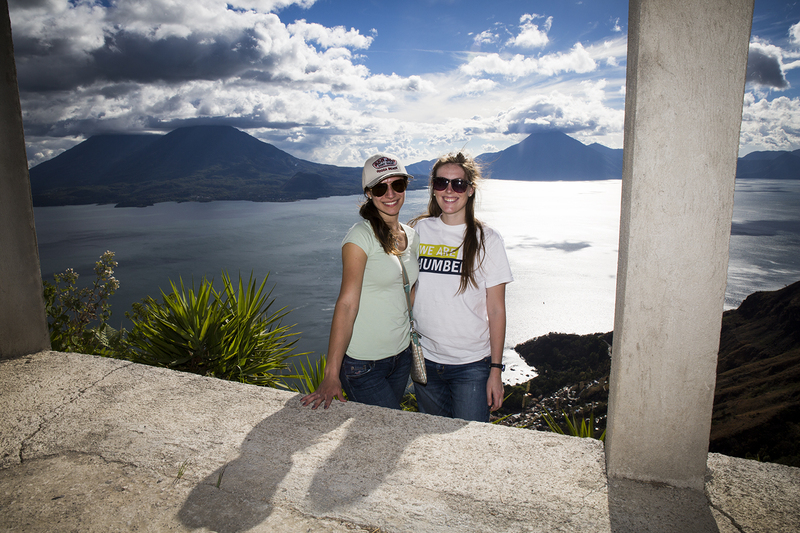 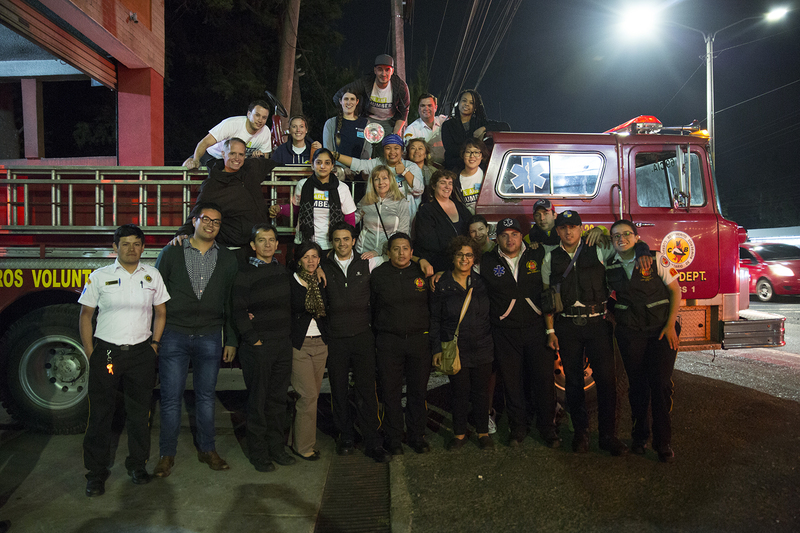 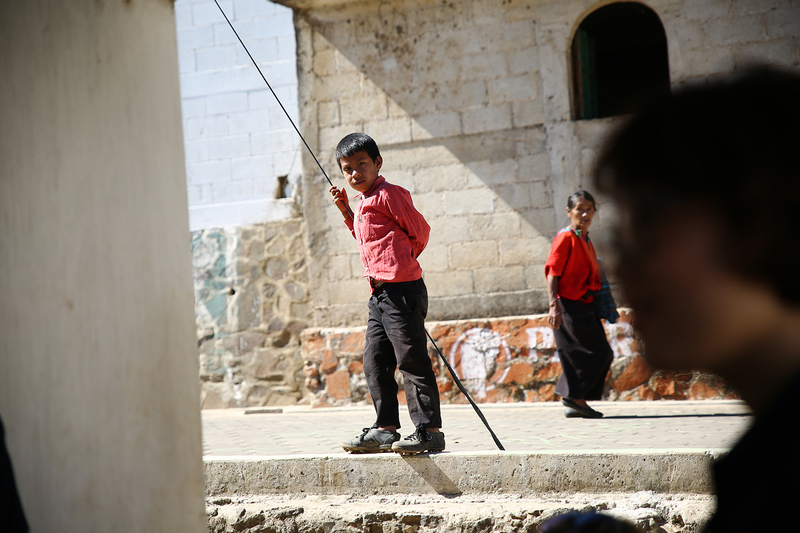 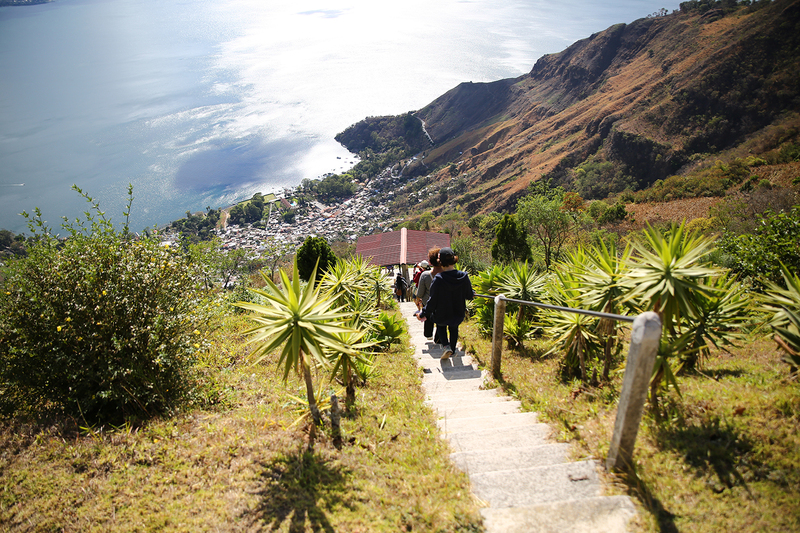 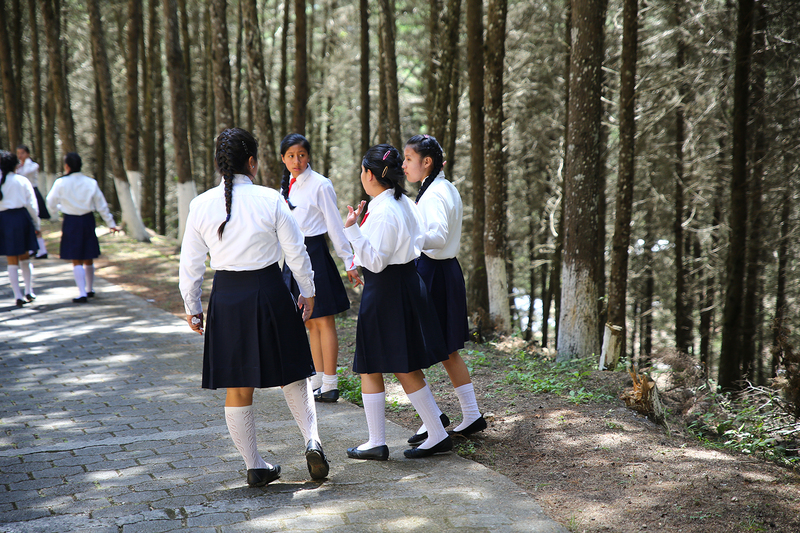 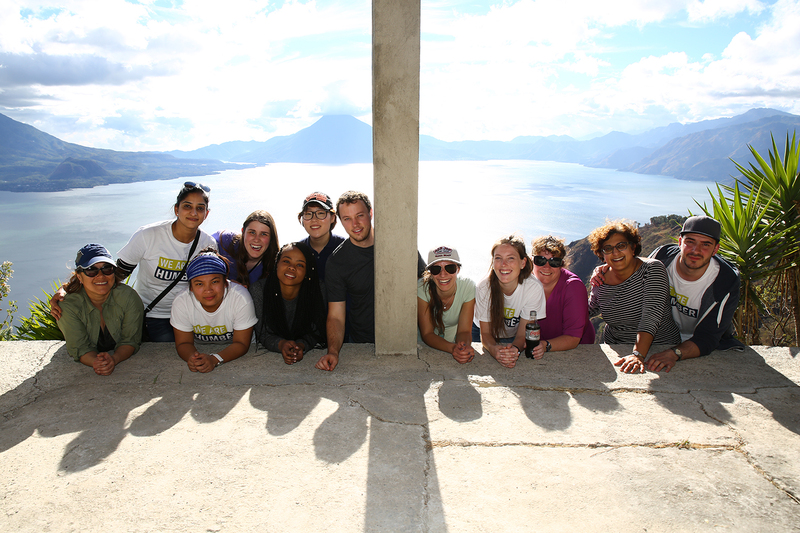 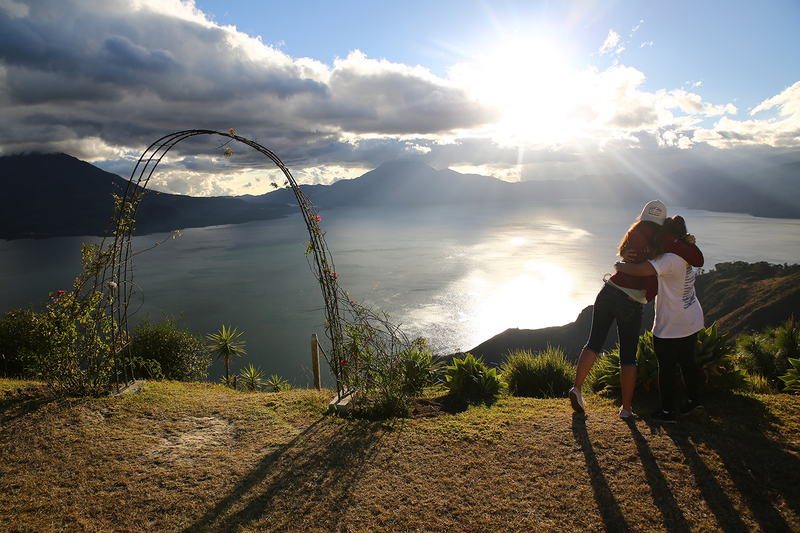 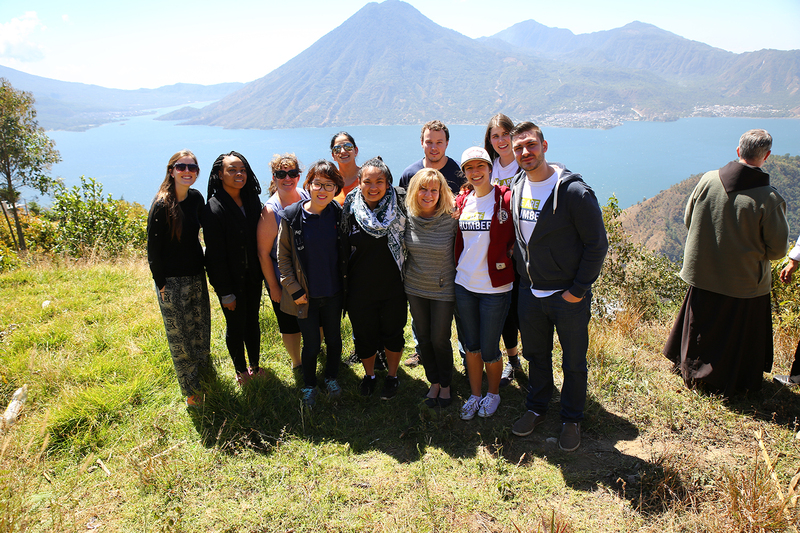 Watch the full-length documentary, Cultural Humility, that follows the students on their inter-professional journey in Guatemala.